Dutch brand CRAVT Original prides itself in being a purveyor of the unique thanks to each and every one of its pieces having a natural finish “derived from materials provided by Mother Earth”. Its statement Mushroom vases – crafted of delicate pen shell and a halo of brass – are no exceptions. “[Shells] look incredibly beautiful, bring back memories and put a smile on people’s face,” explains Derrec Teekens, an executive for the brand, of the designs’ simultaneously familiar yet intriguing material. Which is true. The Mushroom vases are stately and grand but never imposing which is a difficult balance to achieve. The trio of luxury vases showcase an intriguing speckled pattern, each distinct from each other and unlike any other piece in the world. But what causes such a beautiful pattern? According to Derrec, the “undulating grain is the result of seasonal fluctuations in a mollusc’s diet – darker layers arise during winter months; lighter layers during warmer summer months.” And that’s the beauty of nature – even its seemingly mundane events are the stepping stones to creating something magical. Once these rare raw materials have been sourced – from the majestic waters of China’s Yangtze River – the piece begins its month-long production. 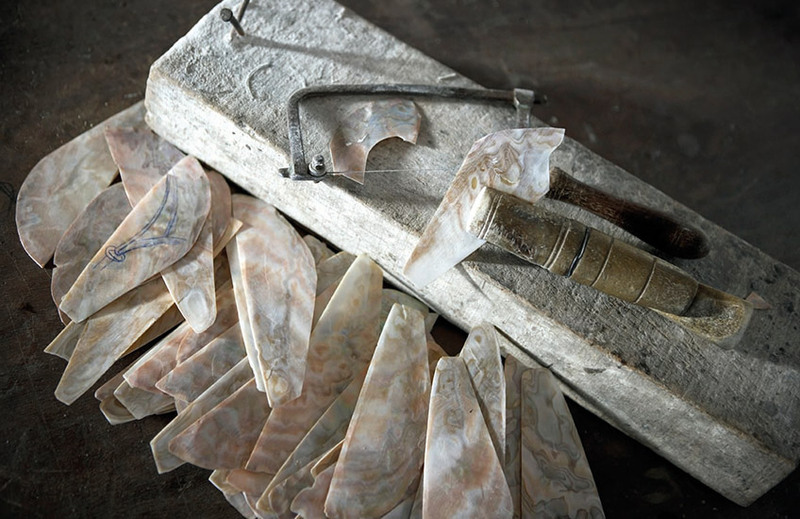 The unique surface is created as artisans hand-cut pieces of two millimetre-thin shell which are carefully hand-applied to the mould using a pre-drawn pattern as a guide – each pattern is meticulously planned out to the nth degree. 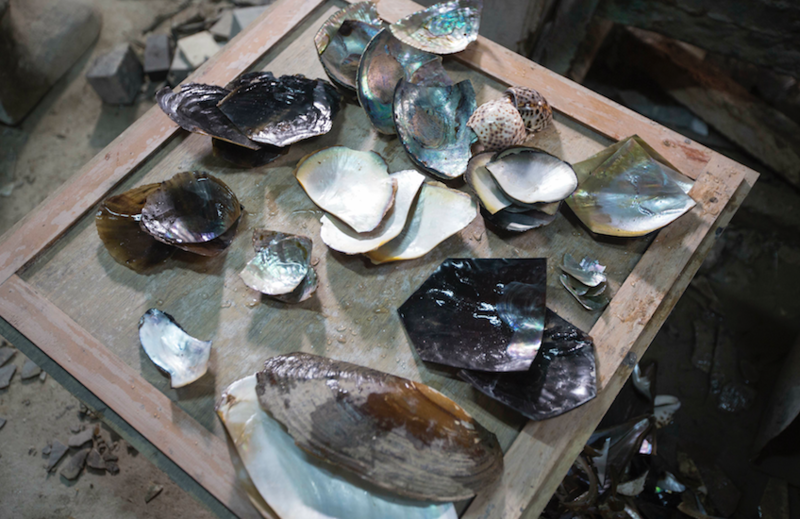 “The process of cutting, shaping, grinding and polishing the shells renders them magnificent,” Derrec observes. Once the mosaic is complete, alternating layer upon layer of lacquer and plaster are applied, being dried and rubbed with fine sandpaper and water at each stage to achieve a perfectly smooth finish. A layer of polished lacquer is finally applied to the whole to seal the design and protect the precious surface. And that’s what makes these pieces so special – a combination of the most precious of materials, a striking design understanding and the increasingly rare touch of skilled craftsmen results in something that is as impressive in its creation as it is in its aesthetic.